Fred Kummerow is an emeritus professor of comparative biosciences at the University of Illinois, and at 99 years of age, he is still conducting and publishing research. For over 60 years Professor Kummerow has warned about the dangers of trans fats, even suing the FDA  for not removing the GRAS (generally recognized as safe) status on them years after most other countries had banned them. Professor Kummerow has also battled against the standard thinking regarding cholesterol, stating that dietary cholesterol is good for your heart  and that there are other factors that contribute to heart disease. In a paper published  in 2013 in the American Journal of Cardiovascular Disease, he explained once again that oxidized lipids (and oxidized cholesterol), as are found in overheated polyunsaturated oils like corn and soy, are the leading contributing factors to heart disease. As we have reported in other places, lipid oxidation is a much more important factor to consider when choosing dietary oils than the saturation level. Dietary fats and oils high in antioxidants provide the best protection against lipid oxidation. In addition, saturated fats are more heat stable for cooking, which is what makes virgin coconut oil probably the best cooking oil available today , as it is both saturated and high in antioxidants. It is one of the few oils that actually increases in antioxidants when heat is applied. Paradoxically, this flies against standard nutritional advice as recommended by the USDA dietary guidelines which recommend polyunsaturated oils, like the heavily subsidized corn and soy derived oils (which are mostly GMO today), and condemn saturated fats as unhealthy and leading to heart disease. Last year, research that was used in the 1960s  to promote polyunsaturated fats as heart-healthy was re-analyzed and found to actually condemn polyunsaturated oils, not promote them for heart health. Newer research , including meta analyses of previous studies looking at saturated fats, has completely exonerated saturated fats  from being associated with heart disease. The cracks in the lipid theory of heart disease that blame saturated fats is quickly crumbling, as some cardiologists  and others are waking up to this fact and coming forward to admit the mistake of blaming traditional saturated fats for heart disease. Professor Kummerow, meanwhile, has been researching and publishing the truth for over 60 years, even though few have listened to him. In 2014, Professor Kummerow was still going strong at age 99, and has just published a new paper showing that LDL cholesterol is simply a marker for an amino acid deficiency and not the cause of heart disease at all. 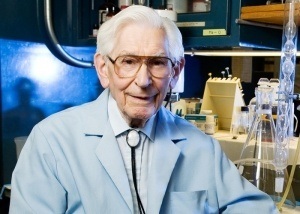 CHAMPAIGN, Ill. — Low-density lipoprotein (LDL), the “bad cholesterol” that doctors consider a sign of potential heart disease, is merely a marker of a diet lacking all of the essential amino acids, says University of Illinois comparative biosciences  professor Fred Kummerow, 99, a longtime opponent of the medical establishment’s war on cholesterol. While writing about the causes of heart disease for the journal Clinical Lipidology, Kummerow made a simple observation that “connected the dots” for him, he said. He noticed that, unlike other cholesterol-carrying molecules in the blood, LDL includes only a single apo-protein, called ApoB. And ApoB lacks the amino acid tryptophan. “LDL is not a marker of heart disease,” Kummerow said. “It’s a marker of ApoB.” And ApoB is a marker of a lack of tryptophan, he said. 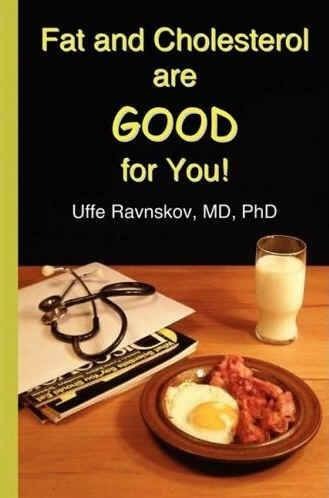 Numerous studies have shown that the other cholesterol-carrying components of blood plasma – high-density lipoprotein (HDL), very high-density lipoprotein (VHDL), very low-density lipoprotein (VLDL) and chylomicrons – all include two or more Apo-proteins, Kummerow said. HDL, for example, is made of ApoA-I and ApoA-II, which together are made up of all of the essential amino acids (those that cannot be synthesized in the body and so must come from the diet). People who get much of their protein from grains such as wheat, rice and corn may lack adequate supplies of tryptophan unless they also eat legumes, which provide the missing amino acid in adequate amounts, Kummerow said. Doctors who advise their patients to avoid cholesterol-rich foods may actually be undermining their health, Kummerow said. Turning patients away from foods such as eggs and other animal products that are rich in essential amino acids may actually raise their LDL levels, he said.